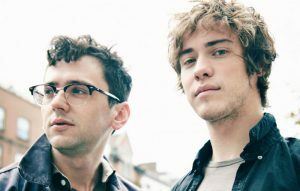 MGMT debuted new material from their forthcoming fourth album last night (May 5) at Beale Street Music Festival in Tennessee, almost immediately after promising their fans they would release new music in 2017. Since the band released their self-titled third album in 2013, they have not put out any new music. In December 2015 they declared that they would “re-dominate your mind hole” the following year, but no new material surfaced in 2016. The band later clarified: “Meant to say MGMT re-dominates your mind hole in 2017”. The band’s Ben Goldwasser and Andrew VanWyngarden have produced a new album from Simon Doom, ‘Babyman’, which is due out on May 19. The post Watch MGMT play first new material in four years appeared first on NME.